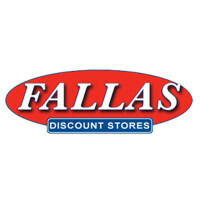 Fallas Discount Stores are a chain of discounted retail stores that sells clothing, accessories and shoes. They sell both private label clothing and brand name items at a discounted price. This company is a part of National Stores, Inc. For more information on the Fallas Discount Stores application, follow the link below. Founded in 1962 by Joseph Fallas in Los Angeles, California, this store started out a single store named “Fallas Paredes”. National Stores, In. owns over 325 locations found across 22 states and Puerto Rico. This company is currently headquartered out of the Harbor Gateway area in Los Angeles, California. National Stores Inc. includes Fallas Discount Stores, Fallas Paredes, Fallas and Factory 2-U stores. This is a company that takes selling high quality products at an affordable price very seriously. They only sell top quality items at the best price available. This store has found much success with this model of offering the best brands for the lowest prices around. They have a wide selection of goods for the entire family. This establishment was built on the philosophy of strong work ethics, committed employees, and customer satisfaction. They aim to exceed customer expectations and are not happy unless everyone leaves their store happy. They want employees to embody these ideals and have the drive to succeed. If you have amazing interpersonal skills, apply today. Fallas Discount Stores has a plethora of career opportunities between the corporate office and retail level. This is a company that boasts amazing advancement opportunities for employees. The retail store has plenty of entry-level positions for employees to turn their jobs into a Fallas Discount Stores career. Retail positions include sales associate, key holder, and store manager. The corporate office offers a wide variety of positions so that any potential job seeker can find a good fit for them. The corporate office can sometimes offer additional perks to its employees. Some positions at the corporate office include human resources, merchandising, and buyer. This company needs a variety of people with different skills and education level to function smoothly. How old do you have to be to work at Fallas Discount Stores? The minimum age of employment at this company is 18. Be careful to read the job requirements prior to applying here. Fallas Discount Stores offer competitive benefits for their industry. Employee eligibility for these benefits can depend on hours worked weekly. Some benefits include health insurance, vision and dental plans. Some other benefits include paid time off, employee discounts and 401(k) plan. Other benefits include life insurance, disability insurance, and advancement opportunities. The hours of operation may not be consistent at all locations. During the busy holiday season, hours may be extended to accommodate holiday shoppers. For more details, call your nearest location for information. Hours of operation are generally Monday through Saturday from 10:00am to 8:00pm and Sunday from 11:00am to 5:00pm. Sales Associate- A sales associate is responsible for assisting customers out on the store floor. They will help customers find products that they are looking for and answer any questions the customer may have. They are responsible for ensuring that the store floor is neat and organized and is fully stocked. A sales associate may earn around $8 per hour. Key Holder- A key holder is responsible for assisting the store management. They will help train new employees. They will also have the same duties as a sales associate. A key holder will open or close the store, depending on their shift. If there is no other manager on duty, they have managerial responsibilities. A key holder may earn around $11 per hour. Cashier- A cashier is primarily responsible for handling customer transactions at the cash register. They will handle returns, exchanges, and payments and will need to know all related policies. A cashier will perform these duties with a smile and ensure that the customer had a positive customer service experience while in store. A cashier may earn around $8 per hour. Store Manager- A store manager is will handle all of the day-to-day operations. They will be in charge of recruitment and hiring, as well as making sure the staff is properly trained. They will handle schedules and inventory. They will also help if a customer issue arises. A store manager may earn around $44,000 a year. Here are some questions that may be asked during your Fallas Discount Stores job interview. Why do you want to work at Fallas Discount Stores? Think about what made you apply to the company. The interviewer is trying to find your motivations for applying here. It helps to mention about either liking the products or sharing the same values as the company. Why should we choose you over the other applicants? There are many other applicants that may have the same qualifications as you do. The interviewer wants to see what your particular skills are that make you stand out. Discuss about any extra experience or any strengths that you may have. Is teamwork important for success? The retail industry requires their workers to work well together as a team. Discuss how important you feel that teamwork is, and mention any time you had to work as part of a team to accomplish a goal. Do you enjoy working with fashion? This is a clothing store, and it requires people to have a level of passion for fashion in order to be successful. Describe what you love most about fashion and mention any way that you stay up to date with any current fashion trends. What are your future goals? This is a company that gives their employees every opportunity to grow with their company. The interviewer wants to see if you are someone who is interested in working here in the long-term. Discuss where you want to be in a few years to give the interviewer a feel for your career goals. If you want information on how to apply at Fallas Discount Stores, the easiest way to apply is to apply directly online by visiting Fallas Discount Store jobs online and filling out an application form. You may also fill out an application form at your local establishment. The website does not have downloadable applications or printable applications online. This company has the job descriptions and responsibilities clearly stated about their available positions for potential job seekers to find the right fit for them. When you fill out your application form, you will want to fill it out entirely, following the directions. You should also submit an updated resume along with your application to give added information that may increase your chances of getting the job. It may take at least a month before this company contacts you about your application. If more time than this has passed, you should contact the location that you applied at. By speaking to a hiring manager, you may be able to find out the status of your application and see if they are even still hiring for that position you applied for. Confidence is an important trait to walk into your interview with. You can walk into your interview more confident by preparing for your interview beforehand. You can do this by practicing possible interview questions and answering them out loud. It is important to remember to dress in business attire. This shows the interviewer that you are serious about the position. Lego Stores: For career opportunities, fill out the Lego Stores online application. Dollar General: Dollar General offers opportunities for both, beginners and experienced roles. Vitamin World: See our resource page for more information on Vitamin World careers. Bottega Veneta: Visit the job application for Bottega Veneta to apply today. Sam Ash Music: See this page for jobs at Sam Ash Music.